It nearly baffles one’s imagination when it comes to measuring & calculating the swiftness & completeness with which social media has carried out a relentless invasion of the Web industry within a span of less than a decade. Come up with a single example of any World Wide Web platform that’s devoid of all types of social media websites showcased on them, and you win the challenge. 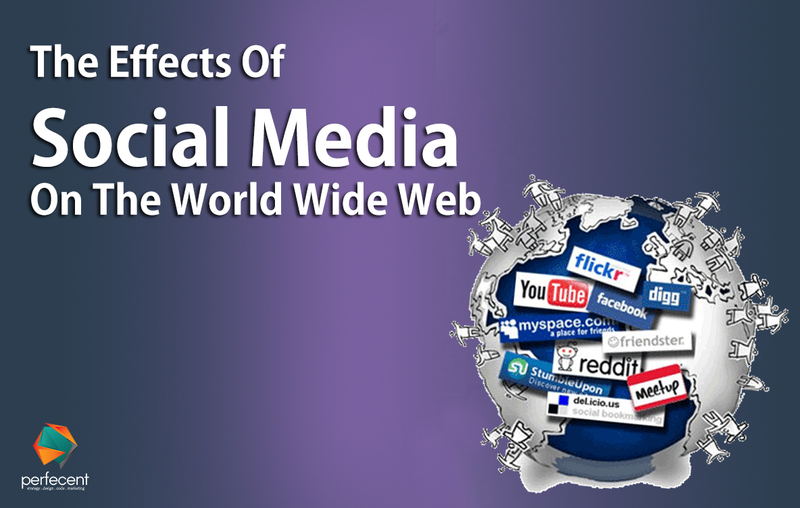 Social media is considered & treated as a soul of every online entity, and that’s not without a reason or two. While listing all possible & plausible effects social media has downrightly produced over time, we might end up with an ending that stays inconclusive all in all. So, let’s get on with the task of enumerating as many as this workspace permits us. It would certainly be unfair & unjust if the role of social networking portals in augmenting any online trade is under-rated. Companies & enterprises in our times put the social media to its best usage and hint at their professional discernment & tact before their customers as well as future prospects. Careful monitoring of customer mood & behavior, giving rise to fresh selection & buying trends, are handled efficaciously through customer interactions in the form of comments & suggestions. It is appreciable to note the manner & frequency with which websites, on a global scale, opt to direct their clients and visitors to proceed to their social content & marketing. Establishing interaction with your present & future customers via social networking is a handy tool to stay abreast with their demands & what actually you are missing out on. The socializing sites help you revamp your brand with a customer-centric approach & improve its recognition. Moreover, the statistics of outcomes obtained from these platforms help you allocate your advertising, research & developmental budgets accordingly. The unprecedented growth of social media has turned the acquisition of fair-play and a balanced approach into a liberal possibility. With exposure to such a wide range of views & ideas, the entrepreneurs & investors are able to carve out the best out of minimum resources. Reduced expenditure on maintaining the business site in the absence of a physical location automatically sheds away much of the financial burden off the business owner. The result is the provision of quality products tagged at lower prices & subsequent higher sales volume. Rummaging through any given website, you are assured of coming across several socializing portals thronging all its pages, enticing nearly everybody into visiting at least a few. An effective social medium, such as the Facebook, can be enabled into presenting a miniature version of your actual Web portal, with your latest products or services updated and their major features highlighted. Going a step further, from selection through ordering, logistics, delivery & payments, each and every step can be followed & catered to with perfect ease of a full-fledged website.